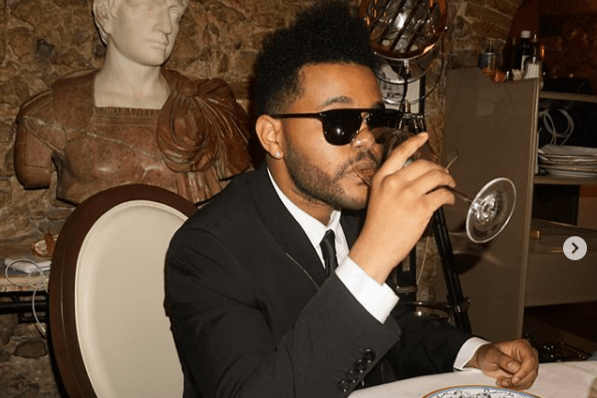 The Weeknd shades Selena Gomez in new song? The Weeknd has been accused of taking a swipe at his ex, Selena Gomez, in a new song. Musicians are known to use personal experiences as inspiration for new songs, and it seems The Weeknd is doing just that. The singer collaborated with Nicki Minaj on a song called 'I Thought I Knew You'. The track features on Nicki's new album, 'Queen'. While the offering has not yet been released as an official single, it has people talking thanks to its lyrics - which many believe are about his relationship with his ex, Selena Gomez. The 'Call Out My Name' hitmaker did not mention the former Disney star's name directly, but all the clues are there. "Honestly, I think this s**t excites you / All that drama that you're tied to / You play the victim every time too / That s**t came back and hit you times two," The Weeknd sings on the song, which is about a confusing relationship. The former lovers split in October last year and very soon after Selena was pictured getting cosy with her ex, Justin Bieber. "Jelena" have since broken up, and the Biebs is now engaged to Hailey Baldwin. The Weeknd hints in 'I Thought I Knew You' that his lover tried to rekindle their romance. "Tell me why you let me come inside for real / Nevermind, you were never mine for real / Hit my line, I'ma hit decline for real / I ain't trying for a second time for real." The Weeknd has moved on since his break-up with Selena and is currently dating his ex, Bella Hadid. It seems Selena is also using her break-ups as inspiration for new music material. Her latest hit, 'Back to You' - which is currently at number one on the Chamberlains Top 20 chart, is allegedly about Justin. "I wanna hold you when I'm not supposed to / When I'm lying close to someone else / You're stuck in my head and I can't get you out of it / If I could do it all again / I know I'd go back to you," she sings on the song, which she co-wrote. The Weeknd's 'Call Out My Name' - another single rumoured to be about Selena - is also on the chart. Singing about their exes is clearly paying off!